So this is an odd one for our vault series as it&apos;s content you won&apos;t have read in the past, this is the transcript of a 2 year old interview Opium Pulses did with SFB Games at EGX 2014. It was a video interview but the venue was so loud that the audio quality was awful and made the whole interview impossible to hear. We&apos;ve pulled the audio, done our best to improve the quality and written it for people to read as an article instead. Hope you all enjoy! This is Opium Pulses at EuroGamer 2014 interviewing SFB Games (previously known as Super Flash Bros) about the game they&apos;re presenting today; Haunt the House: Terrortown - Hi Tom, how&apos;s Eurogamer treating you? It&apos;s eh, it&apos;s very hot, there&apos;s a lot of people, but it&apos;s been fun. Are people enjoying the game? Yeah everyone seems to be really liking it so far. It seems really easy to get in to? You basically grab a controller, push a button and that&apos;s it! You&apos;re off!? Yeah exactly, straight away people can start having fun and laughter. It shows off very well. So you&apos;ve made a ton of games in your past, including Haunt the House. Tell us a little about how the idea came about and a brief introduction to the game. Gosh, okay.. So there&apos;s a Pokémon called Rotom which is a ghost Pokémon, and depending on what you do in the game, he changes in to different household objects. That was the original inspiration for this game. Yeah, so you&apos;re a ghost.. and you fly around town and you possess objects around town and you use those objects to scare people out of buildings. Each ghost has unique powers and that’s about it really. Is there any sort of end-game? Yeah yeah, you have to scare everyone out. There&apos;s 80 people, some people can&apos;t be scared out and you.. well you have to get rid of them in different ways, I won&apos;t say how, but you gotta figure out how to do that. So once everyone is out that&apos;s the end of the game and it&apos;s up to player to decide whether they want to rush to that end goal or take their time to mess around and have fun. Haunt the House: Terrortown is now sold on Steam, but it was originally a flash game, what&apos;s different about Terrortown on Steam to the version people may have played in their browser? So the flash game from 2010 is a single house, only 30 people and a single ghost you could use and that was it. The new version has 4 new buildings, all new items and new art. So the art for the previous game was done while Adam was in university and Terrortown was done after he&apos;d left Uni where he was still learning animation, so his art style and technique has improved.. massively during the last 4 years. So you haven&apos;t just extended the flash version? No not at all, in fact the new version doesn&apos;t share a single piece of code from the old version, it was built completely from scratch. It still technically runs in flash, I just threw the old code away and started from the beginning. And you got the game through on Greenlight, right? Yeah, it got greenlit in February, took just 19 days! It was nuts, so yeah last year PewDiePie played Terrortown about 7 days after we released it and we got a massive surge of attention. 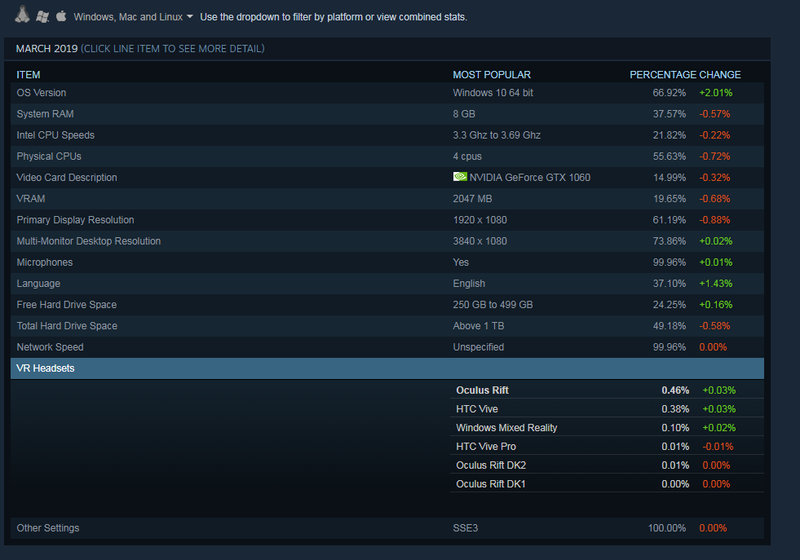 And so we put it up on Greenlight this year, along with our other game Detective Grimoire and within about 10 days, out of 1,500 games on Greenlight, Haunt the House was at number 6! You only needed to be in the top 100 to get greenlit, Detective Grimoire hadn&apos;t even made it in to the top 100 in those 19 days, but I guess Haunt the House just got SO greenlit that people sort of looked at our other game and just thought they&apos;d vote that one up as well, which was amazing. Then we released them both after working on Steam stuff like Achievements and that sort of thing. Haunt the House seems to attract the attention of all types of gamers, regardless of gender, age or preferred genre, what do you think is unique about Haunt the House that allows everyone to enjoy it? I think firstly it&apos;s friggin&apos; adorable! And I think honestly, everyone loves the adorable stuff. No matter what they say, they love it. Also I think, it’s got this weirdly dark undertone to it. But once you spot it, if you’re not so much all about the cute stuff, you see that and you’re like “oh.. actually.. I’m kinda making people jump out of windows by freaking them out, that’s a little.. uh, should my 5 years old be playing this or no?”. So yeah, I think there’s enough there for everyone to get something out of the game. Its funny I was looking at a bunch of your other games and it’s obvious they’re made by the same people, the art is incredibly unique and fun and… this isn’t really a question, more just showing how impressed I am with the art style. Haha, yeah Adam has always had a very, definite art style that’s all his own. And you can see it, if you play all our games in release order, you literally can see the progression. He made a couple other games while I was in university with some other programmers so his progression with his art is solid with every game we put out. It really is a very continuous progression to where he is now. But it’s always remained kind of the same, it’s weird – I dunno how he does that! Haunt the House isn&apos;t the only game you&apos;ve worked to evolve from a simple flash game, Detective Grimoire also passed greenlight this year and was released on Steam too. Your games clearly have a buzzing fanbase, so do you have any plans to release other games from your back catalog on Steam? We’ve thought about it, so we’d have to create new games ‘cause obviously all our flash games are really small. Not so much Steam, but I thought if you’ve ever played The Arrow of Time, it’s a little weird archery defense game that takes place in different time eras, and I think it would work amazingly well on the iPad. Again I’d wonna write it from scratch, make a new game and expand on it massively. That mechanic is sort of, almost Angry Birds-esqe. Have you ported any of your other flash games over to iPad? Er, no we haven’t yet. Which is weird ‘cause again there’s a couple there where I just think that could work and I could do something in a week that would be functional and then spend a month or so to polish it up and make it look nice. So there’s so some stuff there, but I think at the moment we’re concentrating on something entirely new that we’ve never done before. But once we’ve got a bit of free time I think I&apos;ll experiment with a few of those, I might take them, programme them up and then say to Adam, hey I’ve got this prototype that works now, will you do some art for it? No usually it works the other way around actually, we plan a game, and Adam is so lightening quick and incredible at doing art, he’ll be done after a month and I’ll be still programming the basic engine and he’ll just have to twiddle his thumbs. To combat that though Adam works with a bunch of other programmers and he has his own comic book series which he takes to independent shows around the country so he spends his free time doing that. So I’m playing catch-up most of the time, so yeah I’d like it to be the other way around for once! You started by making Flash games and have since released a few titles to mobile, is that right? Just Detective Grimoire so far. Which is a completely different game to the flash version, I mean I know they look the same but they’re basically different games? Yeah, it’s a brand new game again written from scratch not a single bit of the old game is in the new game other than characters that turn back up again. Completely different story, it’s the first part of a trilogy too, the old game was standalone. We always wanted to do a sequel but the first one was tough to ease in to so we started again with the Steam version. I noticed with Haunt the House you’d given it a sub-title with &apos;Terrortown&apos;, why didn’t you do the same thing with the Steam version of Detective Grimoire? Yeah we thought about that, I think with Haunt the House as a flash game, it was a lot more popular, a lot more people saw that game. And Haunt the House was 2010 so it was more recent, with Detective Grimoire the original was 2007 I think, so a lot older at this point. A lot less people made that connection with the flash version, whereas too many people say in Steam comments of other games “oh guys this is a free game you can just go play it here”, so we needed it for Haunt the House definitely but Detective Grimoire hasn’t actually been a problem. So I know you had a deal with Armor Games, they basically published a bunch of your flash games. Do you still have that tie with them now? Yes absolutely, Detective Grimoire is published on mobile by Armor Games, they have been publishing a couple of games on mobile right now so, they’re doing incredibly well in the mobile space right now. Just a lot of flash portals are branching in to mobile lately, Kongregate are doing really well right now, Newgrounds hasn’t quite got there yet but Miniclip are doing really well too. So we have Armor for that and then the sequels as well and that’s multiple platforms too so mobile, desktop and then semi-published on Steam, in that they helped us out with the original funding and in return yeah, they get a cut of sales. That was our first projects that we took on as SFB games, that initial boost in funding and help with our Kickstarter which helped us go for years which was amazing. And now we’re selling games on our own and can just about resist at this point and now we’re waiting for the next big thing to come along. What&apos;s the most enjoyable thing you&apos;ve worked on since starting out as developers? Ah jeez, I still love Haunt the House, the original flash game is still one of my favourite games I’ve ever made. The fact that I still find it fun to wiggle that ghost about, after 4 years… I didn’t even plan for that. I didn’t go in to it thinking “let’s make this movement really super fun” I just sorta made it… and it was super fun! And that just sort of happened, the fact you control a ghost meant I gave it sliding controls, and gave it the tale that wiggled after it, and it suddenly felt amazing. And it hasn’t gotten boring, so I think that reassures me that it really was a good design. Do you think you’ll do any more with Haunt the House? So yeah having said that, I’m not sure we will. I mean Haunt the House is an interesting one ‘cause it takes so long to do, because everything has to be sort of individually put together, all the animations are custom animated by Adam and then sort of put together by me. So it takes a long time, and I’m not sure what we could do next, people seem to want a few new buildings and we can do that but I’m not sure how much value there is in that, really. I would want to do something completely new. I’d want to add something big or change the way it works. One idea I did have is having a multiplayer, where one player is the ghost and the rest of the players are Ghostbusters, trying to stop the ghost and I thought the WiiU would be amazing for that, with a player as the invisible ghost and everyone else on screen, erm.. but again that would be a huge undertaking to start that project and we’d need to really go for it as our one main project. So we’ve got a few smaller ideas in the works and then one big thing that we’re working on right now so it’ll be a while until we revisit. I think there’s some more there, it’s just not for now. Have you seen anything else at Eurogamer that you like the look of? I’ve been really bad, I’ve been at our booth… and I’ve been to the cafeteria. ..I’ve looked around actually and er, Smash Brothers obviously, signing up to the tournament first thing tomorrow. Er, yeah really Smash Brothers has been it in terms of stuff I’d definitely like to play that I can’t play right now. You should really play it today, it’s the quietest day today. Well it’s annoying ‘cause the qualifiers start at 10, but I can be there at 9 waiting in line, so I’ll do that and get my signature down for the qualifiers in for tomorrow and then I’ll be down. And finally and most importantly, I think you might have answered it earlier, maybe… What is your favourite Pokemon? Errr… Yeah it probably is Rotom to be honest. He’s awesome. Thanks Tom for taking the time to allow us to interview you, good luck with your games and enjoy the rest of Eurogamer! We&apos;re planning to upload our interview to YouTube with subtitles at some point, but for now I&apos;ll leave you with the ever charming video trailer for Haunt The House: Terrortown.